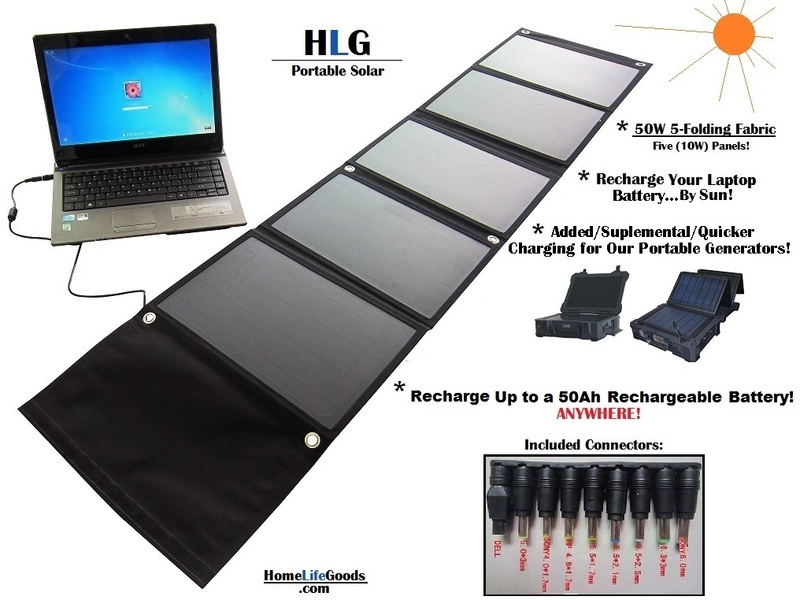 50W Folding Solar Panels: Laptop + Added Portable Generator Charging! 50W Folding Solar Panels: Laptop/Generator Charging! * Speed Up Charging by as much as 250%! * Output Terminal #1: USB 5V, 2A Max.